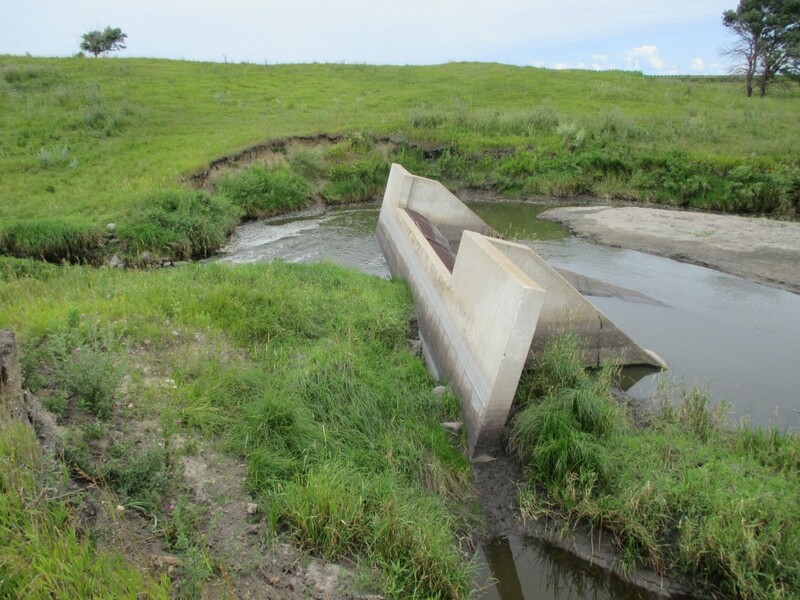 A dam was constructed on Drywood Creek in 1972 and failed in 1997 leaving a function-less structure pushing the creek around the left and right abutments, resulting in serious bank failure and erosion issues. 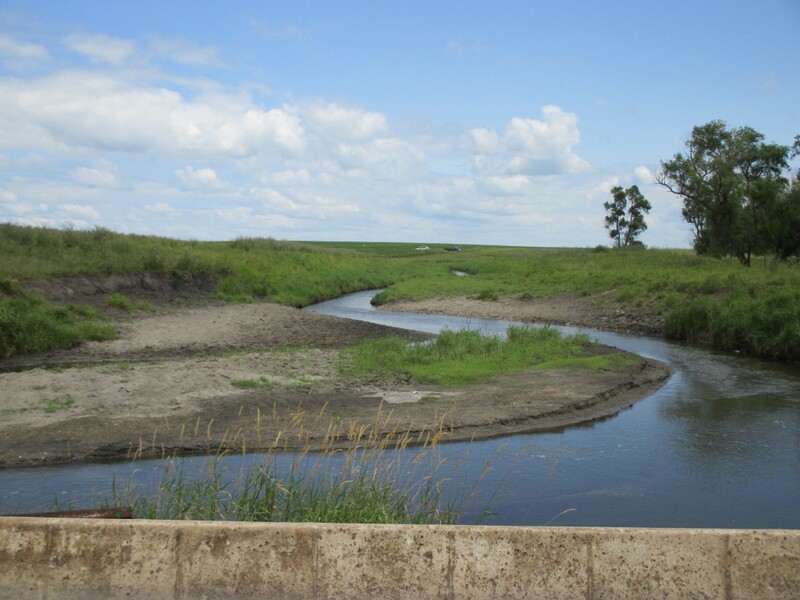 It’s perpetual source of sediment eroding into the stream is carried directly into the Pomme de Terre River and to its outlet at Marsh Lake, an area which is known for being continuously turbid from sedimentation. 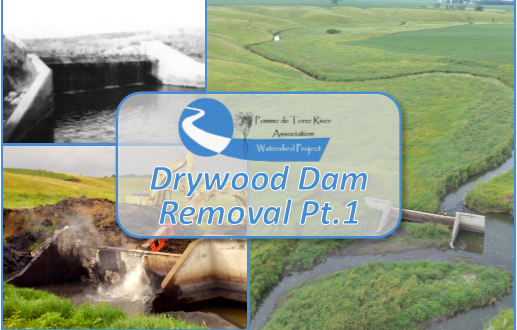 For the last three years this project has been sought after by PDTRA as a way to eliminate a large source of sedimentation in the watershed and ultimately improve water quality and connectivity of the Artichoke lakes, Drywood, and the Pomme de Terre River. Over this time PDTRA has been able to secure the funds necessary to complete this project through BWSR Clean Water Funds and a grant from the Minnesota Department of Natural Resources (DNR). From there it was a waiting game for the perfect timing and weather conditions. 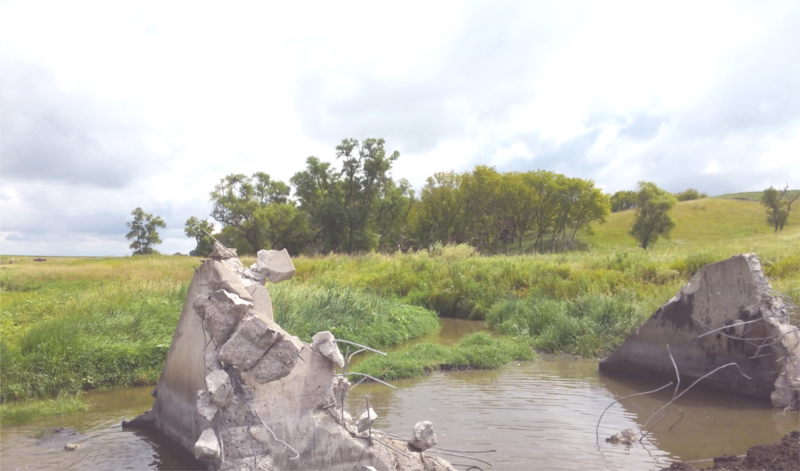 August 10th, 2017 was that day and the project finally broke ground. 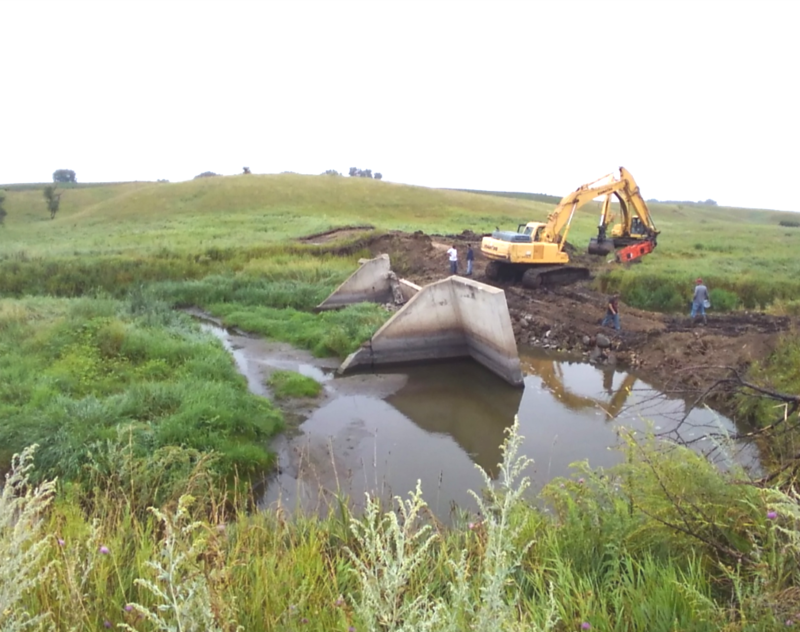 The dam was almost completely taken out before noon. 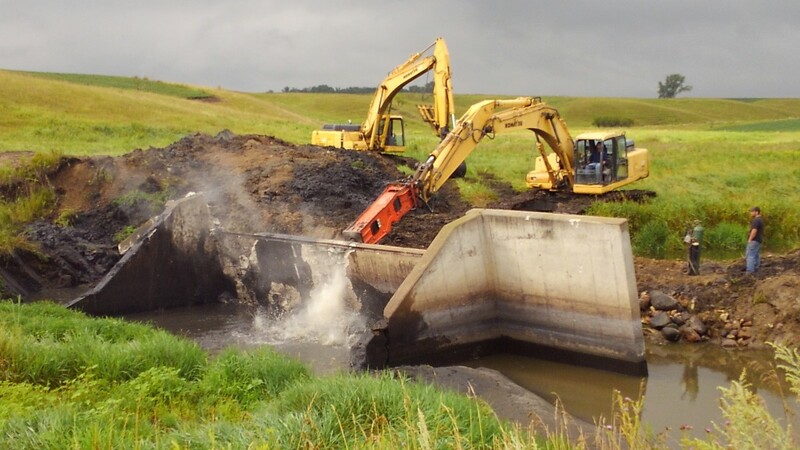 There is still work to be done in completing the dam removal and it is only part one of the project. 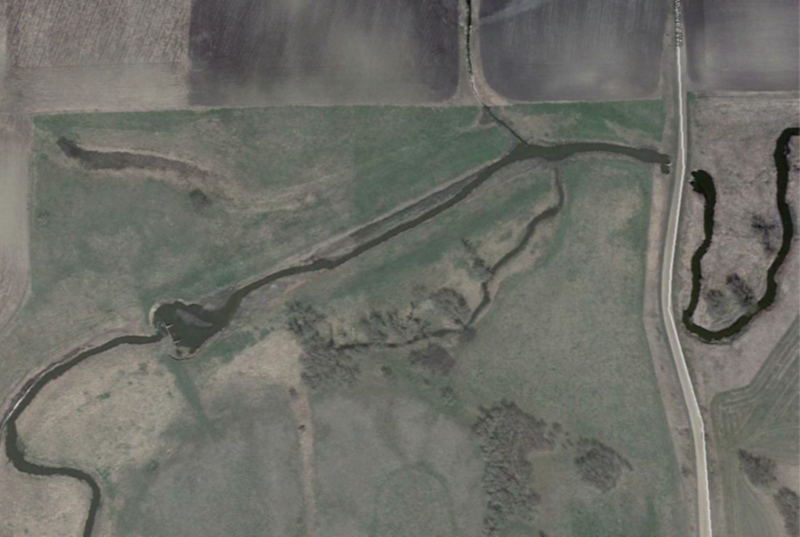 Along with the dam removal the project also details re-routing the creeks flow back to its historic channel. 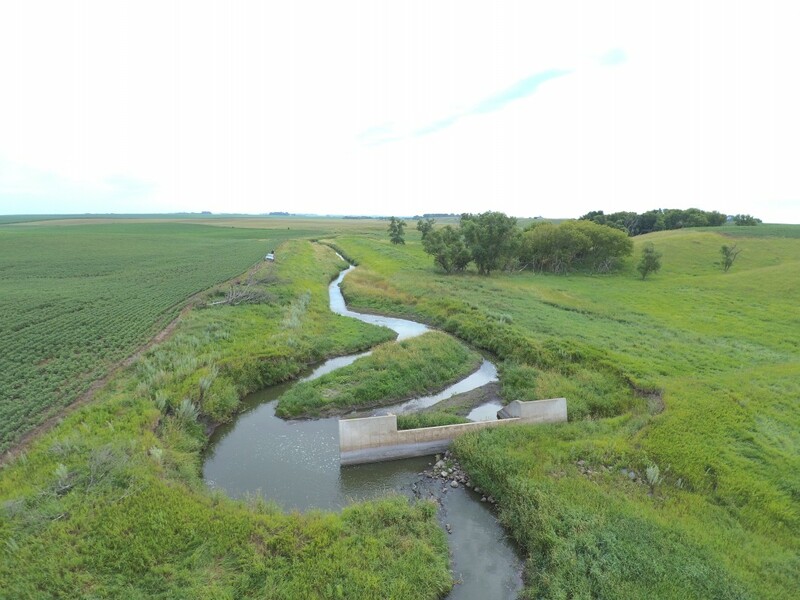 Doing this will increase access to the floodplain, re-establish a functional meander pattern, and enhance in and near-channel habitat for aquatic and riparian species. 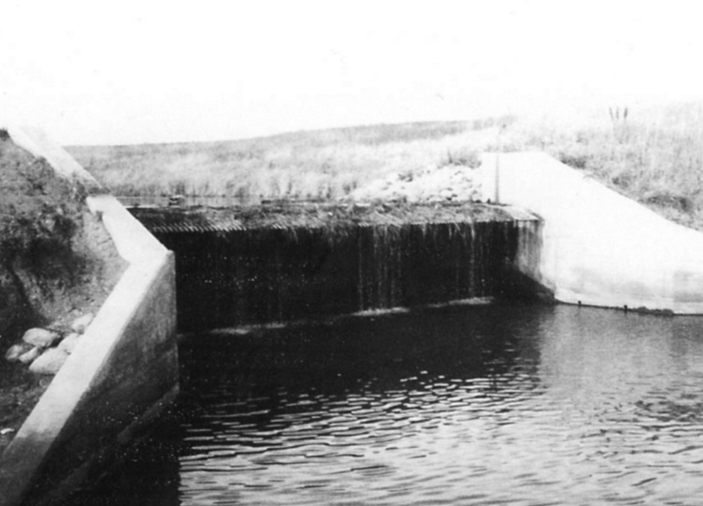 PDTRA hopes to watch this area return to a more natural and healthy state and highlight the the changes in an ecosystem, from dam installation to removal, providing improved connectivity, sustaining habitat, and enhanced outdoor recreation.